Vita Tower, Manama. Information, Photos and Reviews. 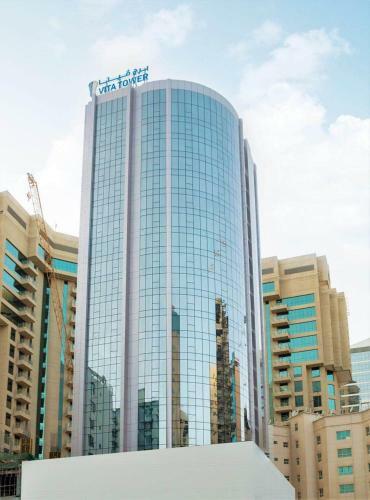 Located in Manama, Vita Tower offers a fitness centre and indoor pool. Wahooo! Waterpark is 6 km away. Free WiFi is available throughout the property. All units include a satellite flat-screen TV and DVD player. Emmawash Traditional Restaurant - Hamala (8.9 miles) - Local Bahraini food in unique atmospher and distinguished customer service. Nobody has reviewed Vita Tower yet, Be the first. You are submitting a booking enquiry. Vita Tower will then contact you by email with details of availability and prices.